As Senate Republicans rush to salvage a health care overhaul, U.S. Sen. Ted Cruz is proposing an amendment aimed at striking a balance between conservative and more moderate GOP senators opposed to the latest version. 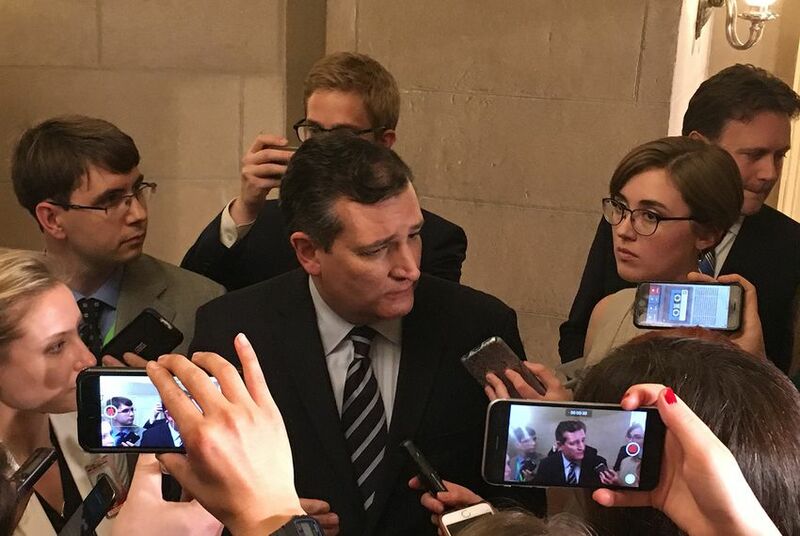 WASHINGTON — U.S. Sen. Ted Cruz is pushing hard to keep the Senate health care bill's prospects alive, amid a rollercoaster week at the U.S. Capitol. Cruz, a Texas Republican, is now proposing an amendment that would allow any health plan to offer "non-Obamacare compliant" plans in a state if it was already offering at least one plan that does comply with the 2010 health care law in that state, according to a Vox.com report. That measure, combined with reducing the bill's tax cuts, could be enough to win over a conservative bloc of senators who are withholding support for the bill, while also freeing up funds to boost Medicaid funding, which might bring along some moderate Republicans opposed to the bill, per Vox. A Cruz spokeswoman confirmed the details of the report to the Tribune. U.S. Senate Majority Leader Mitch McConnell of Kentucky is aiming to pull together new legislation by Friday in hopes that the nonpartisan Congressional Budget Office can analyze it over the July 4th recess. He had hoped to vote on a bill this week but abruptly pushed those plans back on Tuesday. McConnell and other leaders have suggested that despite this week's setbacks, the Senate will pick the issue back up in mid-July. Cruz has repeatedly postured himself as a consensus builder in the health care negotiations – but he did withhold support from the initial bill proposed last week. GOP senators are increasingly feeling pressed for time to address promises to overhaul the country's health care system. Soon, Congress will need to agree to raise the U.S. government's debt ceiling or face a possible default. Both chamber traditionally leaves town for a five-week recess in August and into the early fall. The month of September is often consumed with budget negotiations. And soon, the 2018 midterm elections will come to the fore, which is expected to make it even tougher for Republicans to move forward on politically volatile issues like health care.